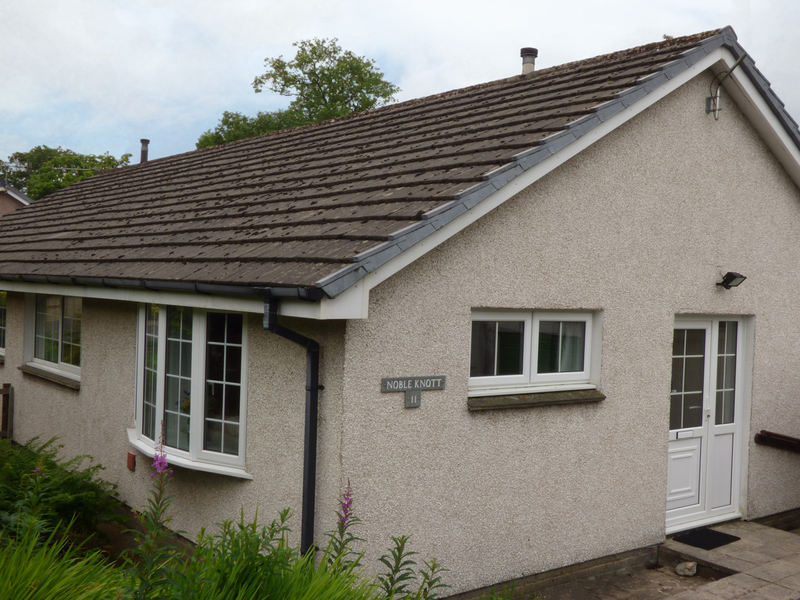 Noble Knott is a modern semi-detached bungalow located in the village of Keswick in Cumbria. Hosting two bedrooms, one double and one twin, as well as a family bathroom, this bungalow can sleep up to four people. The property also contains a fitted kitchen with an open plan dining and sitting room, accompanied by a wood burning stove. 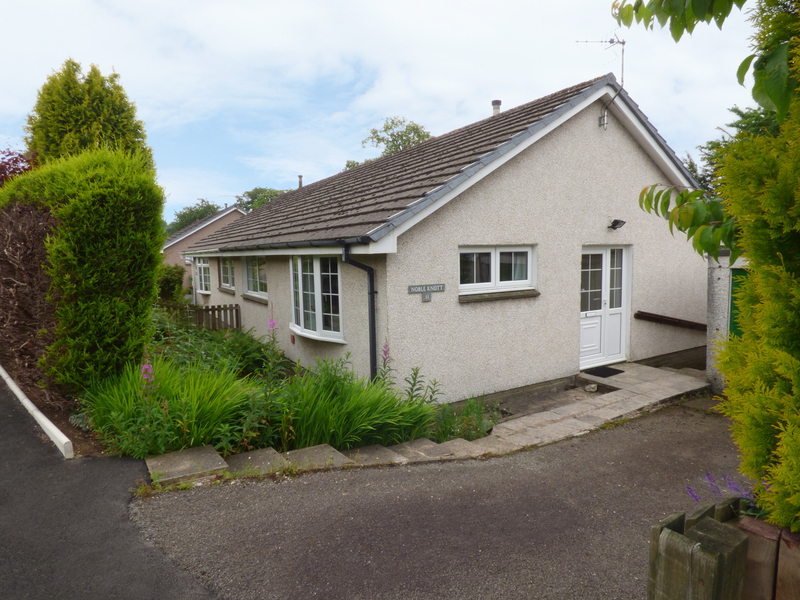 To the outside, is off-road parking, a garage and a lawned garden with furniture. Located in a heart-warming area with many attractions, Noble Knott is a lovely bungalow in a fabulous part of England. All ground floor. Two bedrooms: 1 x double, 1 x twin. Shower room with shower, basin and WC. Kitchen. Living room with dining area and electric fire. Gas central heating with electric fire. Electric oven and gas hob, microwave, fridge/freezer, washing machine, dishwasher, TV with Freeview, DVD, WIFI, selection of books and games. Fuel and power inc. in rent. Bed linen and towels inc. in rent. Off-road parking for 1 car. Bike storage. Garden with patio and furniture. Sorry, no pets and no smoking. Shop and pub 10 mins walk.